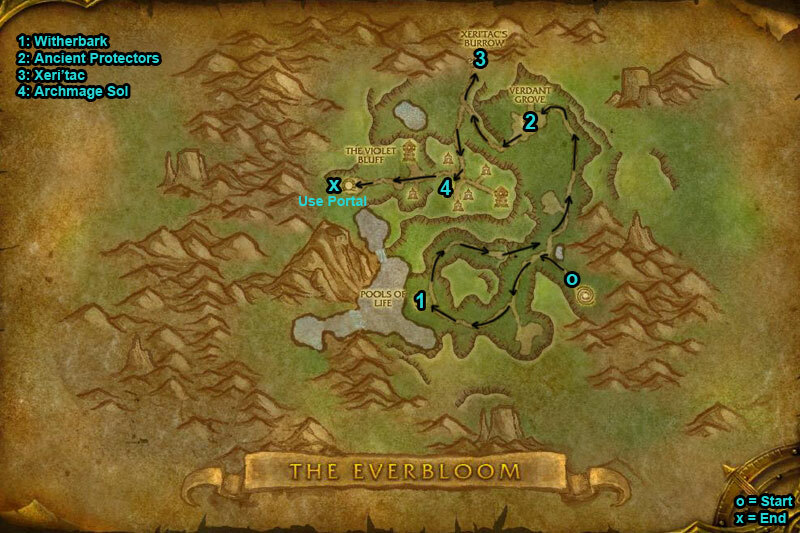 You can find The Everbloom dungeon entrance within Gorgrond, Draenor. /i Avoid frontal cone Parched Gasp. Targets player with Unchecked Growth (green arrow above head), place the rooted vine out the way. Dps the Aqueous Globules. Nuke boss when under Brittle Bark. Heroic Differences: Boss will still cast Unchecked Growth while under the effect of Brittle Bark. /i Kill Gola, Telu then Dulhu. Interrupt Golas Rapid Tides. Move out of roots under you. Tank interrupt Telus Briarskin. Run back out when Dulhu pulls you in with Grasping Vine. Heroic Differences: When these bosses are interrupted they gain immunity to crowd controls & interrupts for 8 seconds. /i Interrupt Toxic Bolt. Boss heals by devouring Venom-Crazed Pale Ones, focus kill these before she uses Consume. 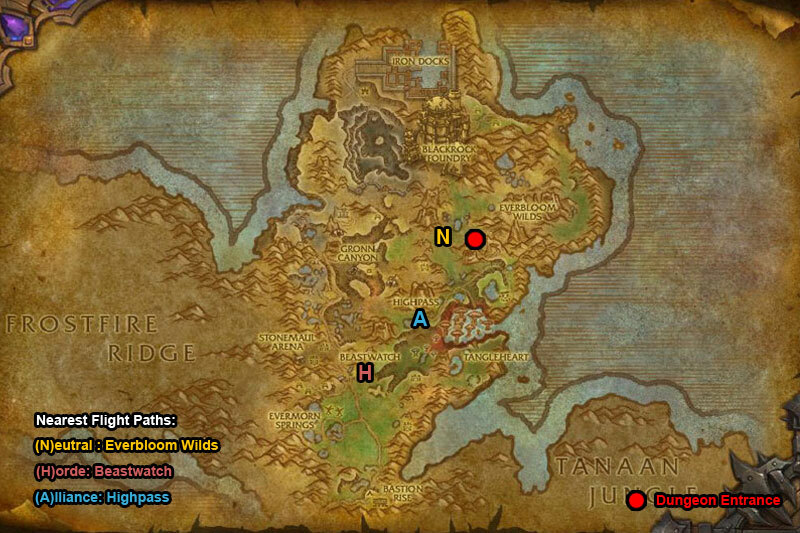 Heroic Differences: Run away from Gorged Bursters if your fixated to avoid triggering Burst which causes aoe damage. /i Red plant spawns under player, jump over fire rings. Avoid standing in Blizzard. Interrupt Arcane Burst. Only interrupt Parasitic Growth when want to change bosses mage phase. /i Tank pick up adds, run them into flame patches on the ground. Avoid frontal cone Colossal Blow. During Genesis players run over all unsprouted Feral Lashers. 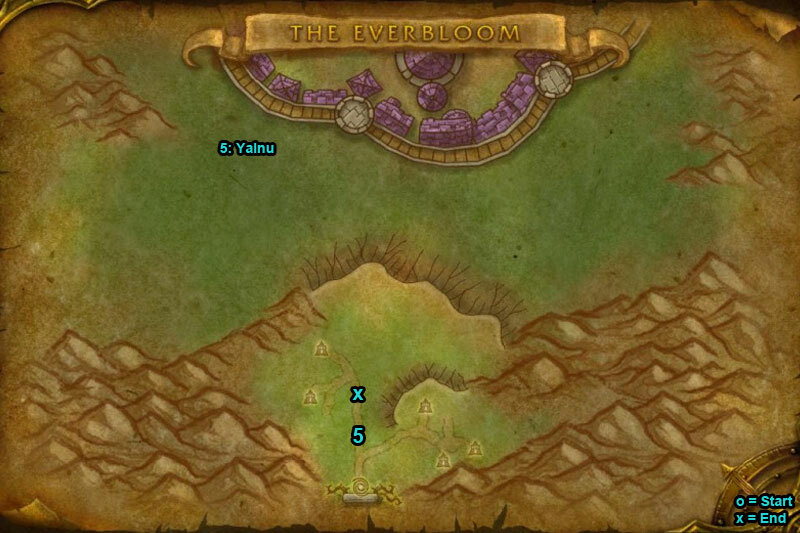 Heroic Differences: Players will also be targeted with Entanglement. Free party members immediately.